Place your deity on beautifully decorated pooja chowki. Pooja chowkis are used during Diwali, Ganpati, Navratri, Ugadi, Pongal, Janmashtami and many other festivals to do pooja. Buy wooden pooja chowki from the market and decorate it at home. Use our tips and ideas to make colorful Pooja chowkis. Place them in your pooja room to increase its aesthetic appeal. Take a simple wooden pooja chowki and cover it with a red cloth or paper. Secure the ends at the back of the chowki. 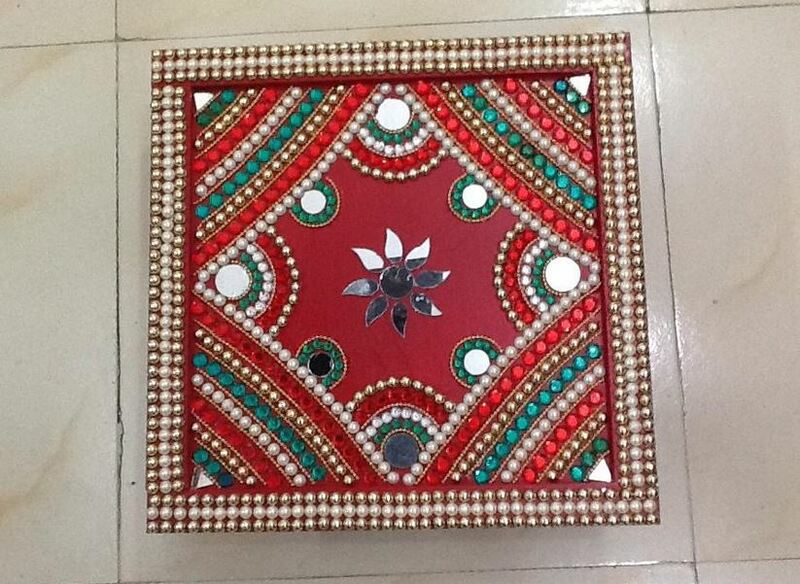 Decorate it with kundan stones, pearl and decorative mirrors. Add a glass on top and place it in your pooja room. 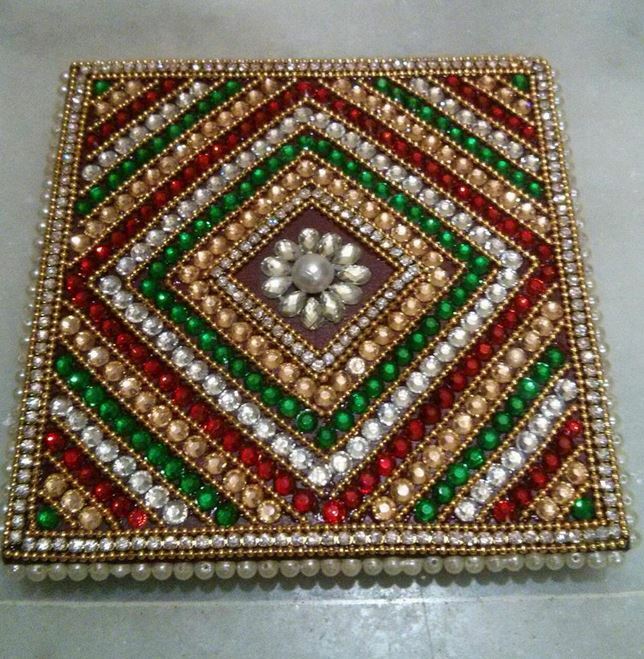 Use this gorgeous kundan studded pooja chowki for Diwali. Place Lakshmi and Ganesh idols on it and do pooja. Here is an amazing patla (pooja chowki) for Ganpati, Navratra and other festivals. 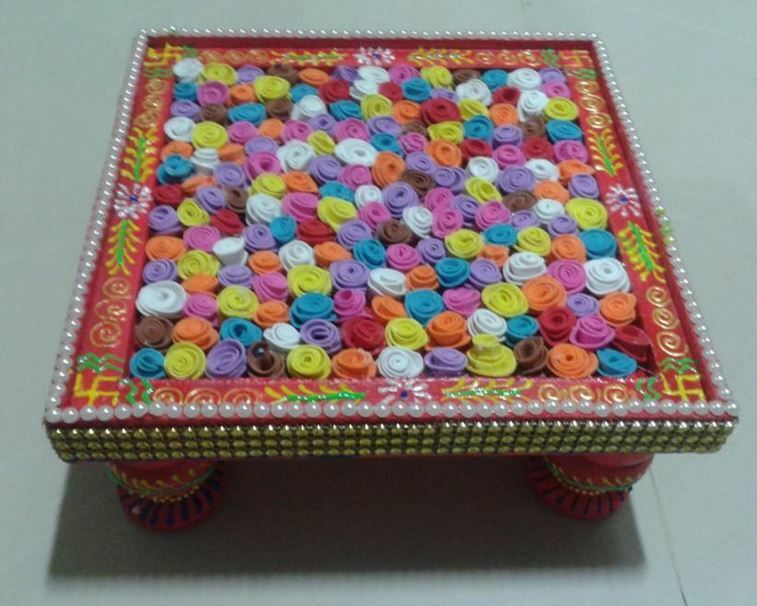 Decorate the chowki with flowers made of foam. 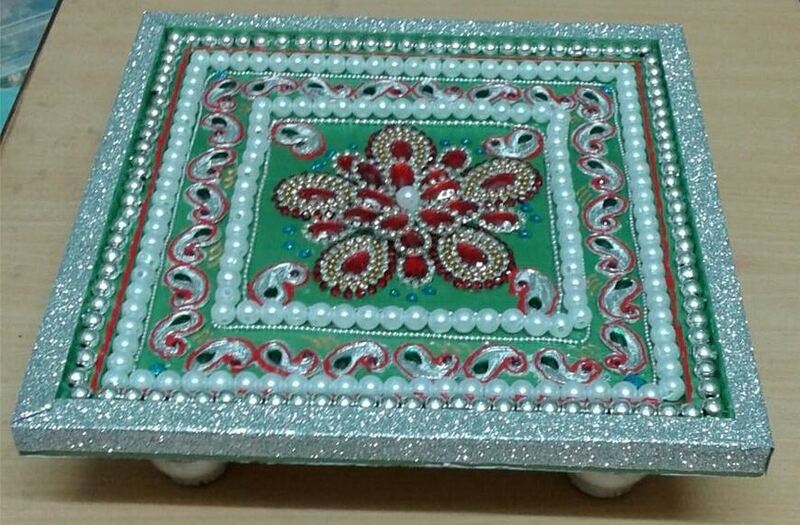 Go for this clay and kundan work pooja chowki. 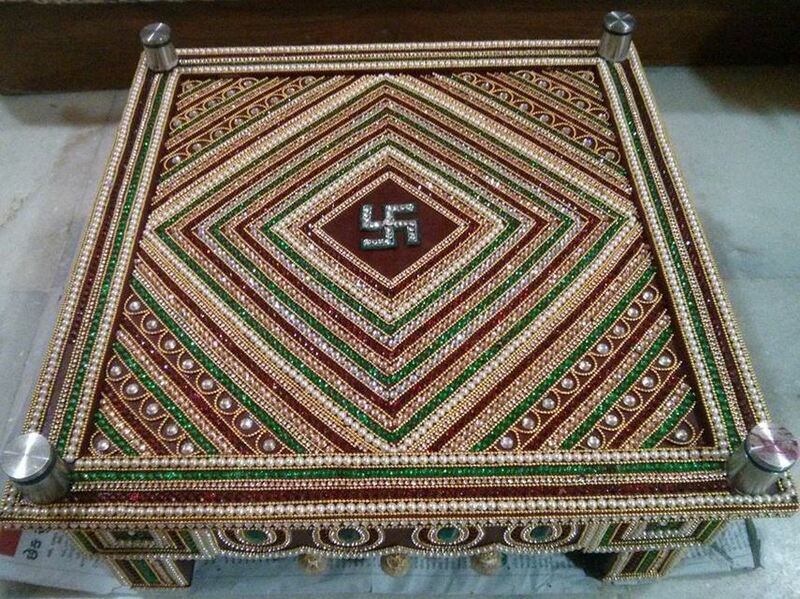 Add circular design to this stunning square chowki. Prepare this paper mache pooja room chowki. Create a pretty flower in the center and paint it in bright pink, green and yellow color. Use zardozi lace and kundan stones to decorate your chowki for pooja room. Don’t forget to embellish its leg. 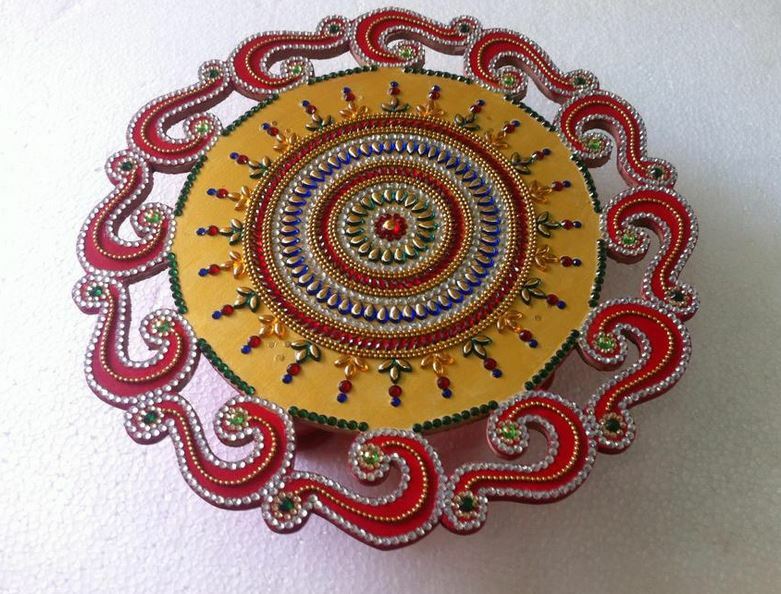 Check out this designer round pooja bajot/chowki. Create an attractive center with the help of colored stones. 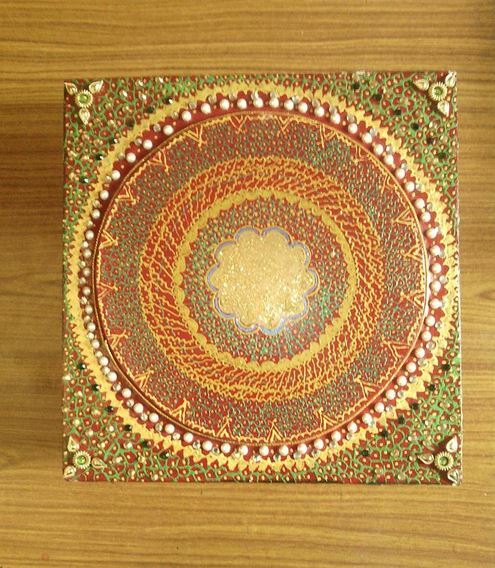 The art of paper quilling can help you create this inspiring pooja room chowki. 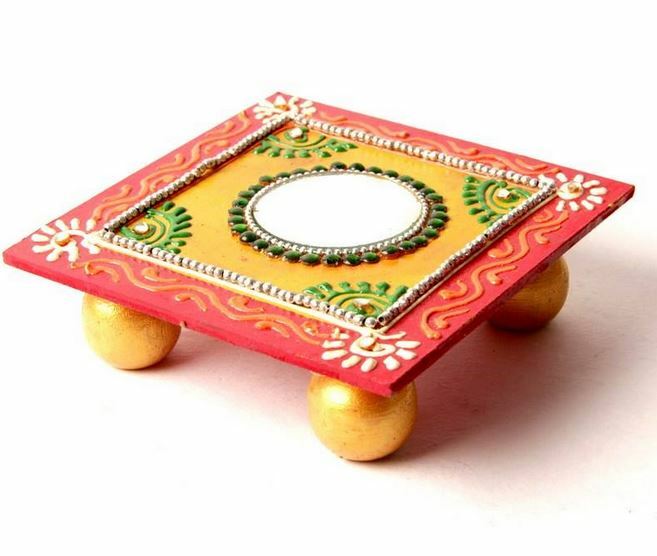 Paint the chowki with gold color before decorating it. To get this look use glitter ribbon, cover the edges of your chowki. Keep the base green and adorn it with huge white and silver pearl. Use rhinestones to enhance its beauty. 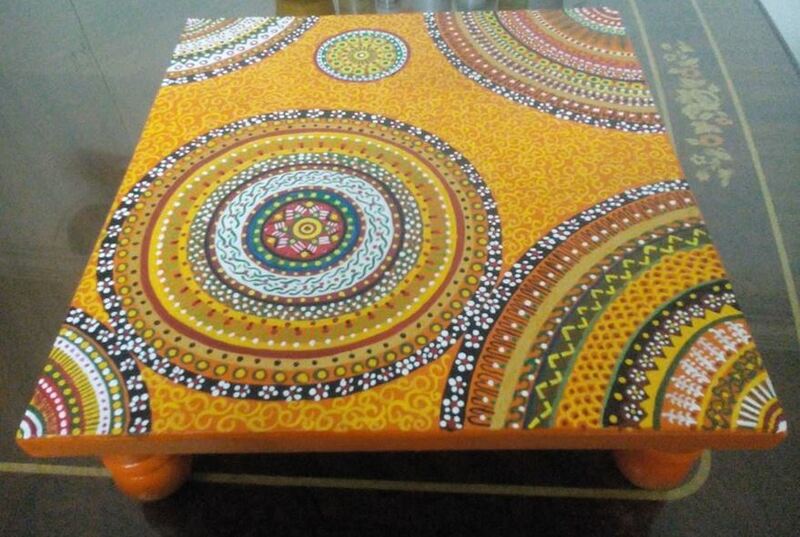 If you are an artist then instead of decorating the chowki paint it. Use your creativity to draw beautiful patterns and designs on it. How about this chowki decor idea? 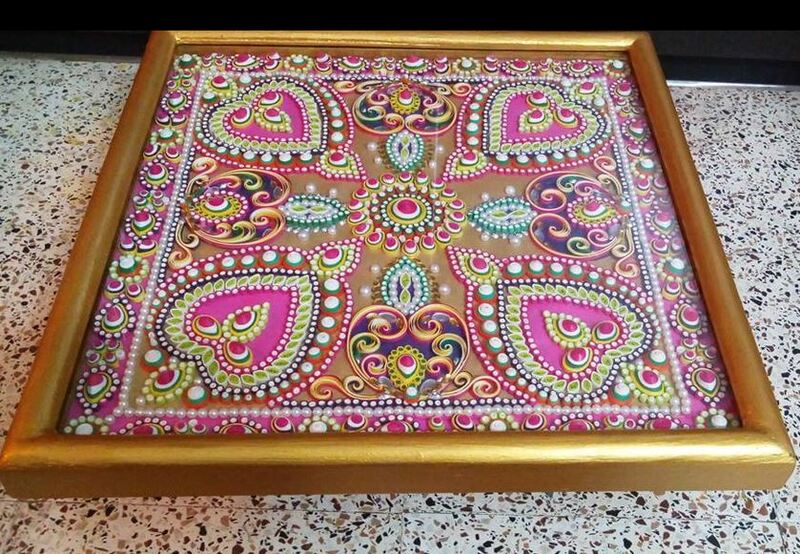 I would love to have this elegantly decorated chowki in my pooja room. Place a large round mirror in the mid. Decorate it with beads and stones. 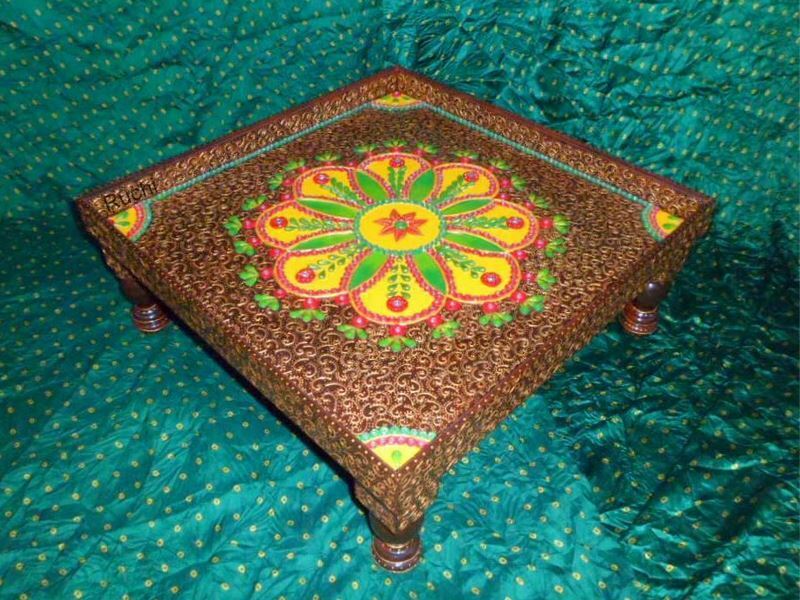 Use clay to prepare this unique pooja room chowki. Make designs with clay and let it dry. 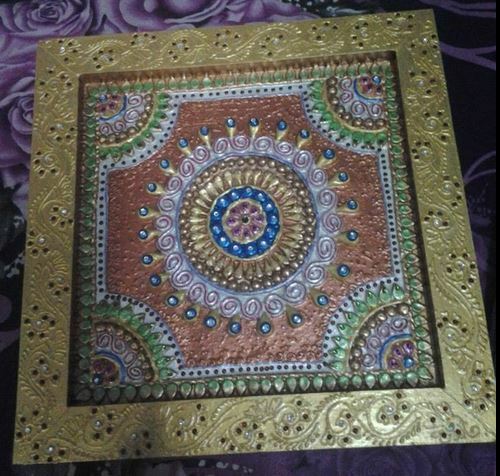 Then, paint the chowki with metallic color. Stick sequins or rhinestones on top. This entry was posted in Pooja Room, Pooja Room Designs and tagged Bajot, Mata Ki Chowki, Pooja Chowki, Pooja Chowki Decoration, Pooja Room, Pooja Room Accessories, Pooja Room Bajath, Pooja Room Bajath Decoration, Pooja Room Bajath Ideas, Pooja Room Bajot, Pooja Room Bajot Decoration, Pooja Room Bajot for Navratri, Pooja Room Chowki, Pooja Room Chowki Decoration, Pooja Room Chowki Decoration Ideas, Pooja Room Chowki Ideas, Pooja Room Decor, Pooja Room Decor for Diwali, Pooja Room Decor for Durga Pooja, Pooja Room Decor for Dussehra, Pooja Room Decor for Navratri, Pooja Room Decor Ideas, Pooja Room Decoration, Pooja Room Decoration for Diwali, Pooja Room Decoration Ideas, Pooja Room Decoration Tips, Pooja Room Design, Pooja Room Design for Homes, Pooja Room Design for India, Pooja Room Design Ideas, Pooja Room Designs, Pooja Room Ideas for Diwali, Pooja Room Ideas for Dussehra, Pooja Room Interior, Pooja Room Interior Decoration, Pooja Room Interior Design, Pooja Room Patla, Pooja Room Patla Decoration, Pooja Room Patla for Diwali, Pooja Room Patla for Ganpati, Pooja Room Patla for Navratra by Homemakeover. Bookmark the permalink. Looking for pooja double door whose size is 21/2 X 7 feet.